Please note: this product is now obsolete. 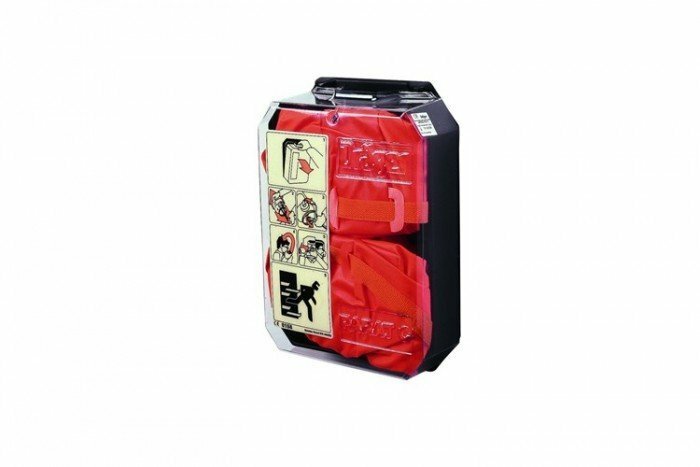 The Parat C has been replaced by the Parat 5500 range including the Parat 5520 Soft Pack. Escape from dangerous smoke, gases and particles caused by fires by using the Parat C fire escape hood from Drager Safety. This particular hood allows 15 minutes safe breathing air and comes in a pack of 2 (stored in a transparent wall box). This universally-sized escape hood may be used by fire brigades to rescue people from dangerous environments or may be provided in places such as hospitals, nursing homes, industrial sites and ships. It has an integrated, highly efficient combination filter to protect you from fire smoke, gases and particles. The hood itself is brightly coloured and has a flexible neck seal.